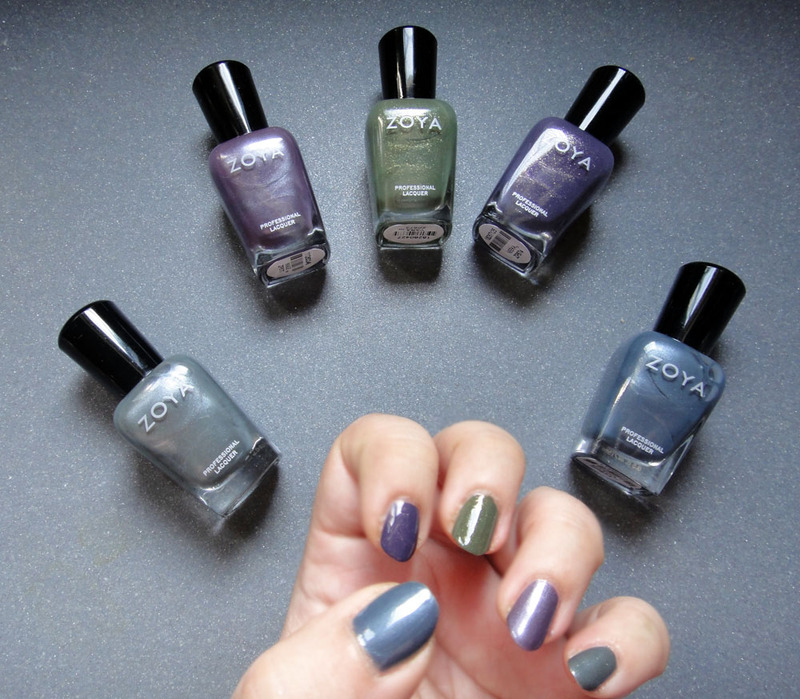 As soon as I saw the first swatches of the Zoya Mirrors collection for this fall, I knew I had to have them. Glitters and metallics in interesting combinations, what's not to like? When my package arrived, I was amazed by all the beautiful colours. Each was so special that I didn't know which one to pick for a mani. Instead I decided to simply pick them all and do a skittles mani. I used 5 of the 6 nail polishes in this collection. From left to right you can see Tao, Nimue, Yara, Neeka and Marina. I used two coats of each colour over basecoat (Color Club's vitabase) and two coats of Essence Better Than Gel Nails topcoat. What do you think? Have you tried any of these colours or are you planning on buying any? p.s. for bigger versions of the photos you can simply click on them. 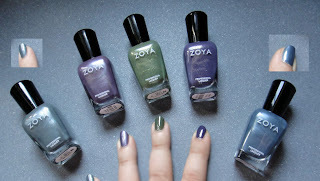 They are all so gorgeous, maybe Nimue and Neeka are the ones I would choose (Zoya is HTF here)! Very pretty I like skittles mani's full swacthes take forever, I really like Tao it's so pretty! They are so perfect!! I have to have them all! The promo pictures looked good but your swatches are gorgeous, thanks! Τέλεια χρώματα!! Καλά να περνάς!!! Φιλιά! they look amazing on you and this is a awesome polish!